Rescuers said they'd never seen anything like it. It was the smell that clued in neighbors that something was terribly wrong inside the woman’s apartment. 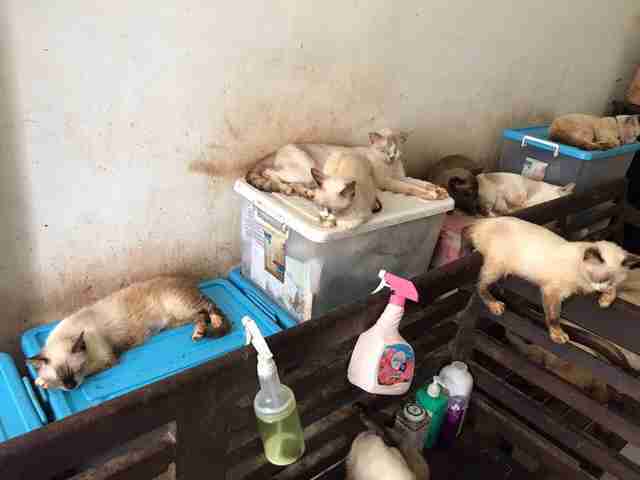 After receiving several complaints, housing authorities in Singapore gained access to the woman’s two-bedroom apartment and found something shocking — inside were 94 cats, many of whom were sick or dying from lack of care. 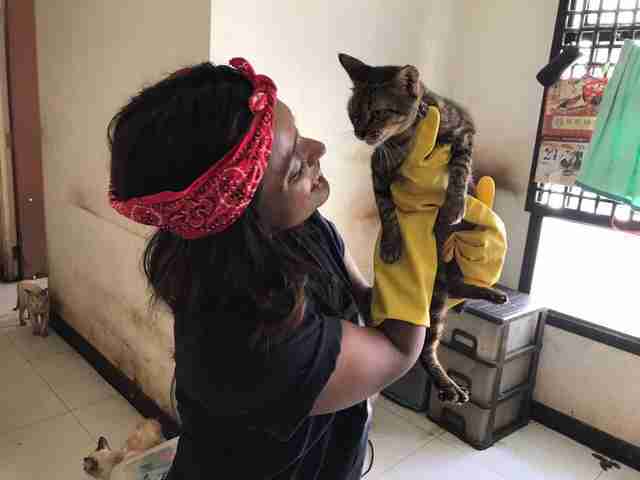 The housing authorities got in touch with the Cat Welfare Society in Singapore, and Maychoo Ling, an independent cat rescuer who works closely with the organization, was one of the first people to enter the apartment to help the animals. 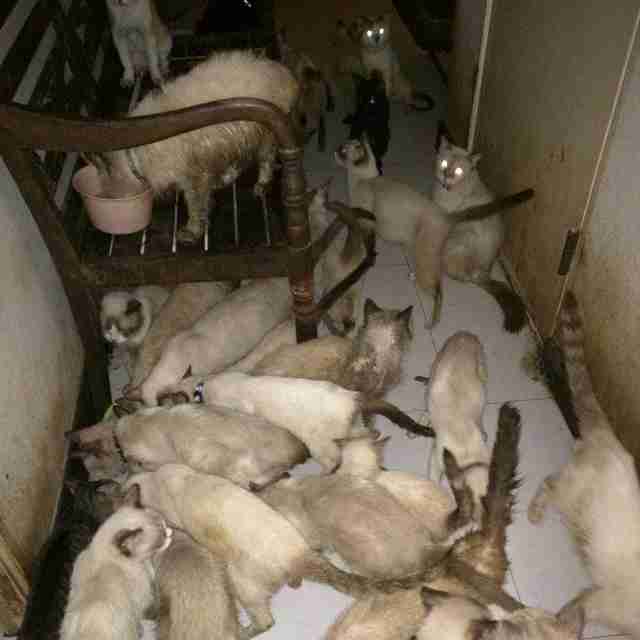 Ling’s been rescuing cats for 14 years, and had dealt with a lot of hoarding cases before. But she’d never seen so many cats in one small apartment before, she told The Dodo. 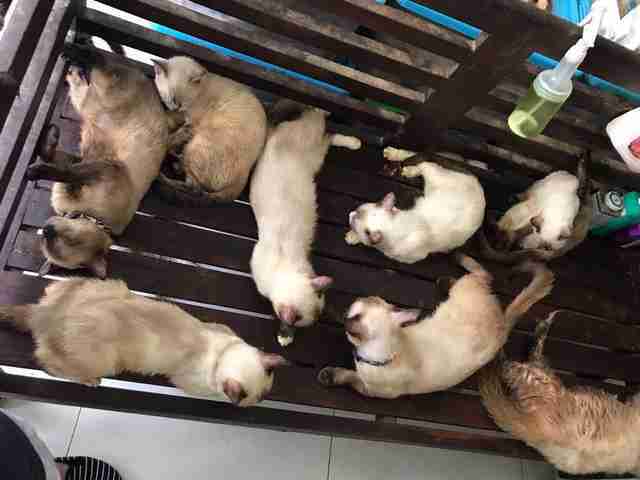 As it turned out, the woman had been keeping all the cats (many of whom were Siamese) to breed and sell them, even though she didn’t have a license to do so. But the woman wouldn’t have been able to sell the cats anyway — most of them were too sick, and they weren’t getting the medical treatment they needed. None of the cats were spayed and neutered either, which is probably why there were so many cats inside the apartment — they’d all bred with each other. One of the female cats was nursing five tiny kittens, but the mom was so malnourished and dehydrated that she wasn’t able to provide enough nutritious milk for her babies. 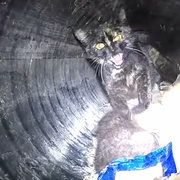 Sadly, one of the kittens died shortly after being rescued, although the others were able to be saved. Many of the cats were friendly, but others weren’t used to human interaction at all, and it was more of a challenge to rescue them, Ling explained. “We had to be patient and calm them down before we picked them up to put into carriers,” Ling said. Others just seemed depressed, like they had given up on life. 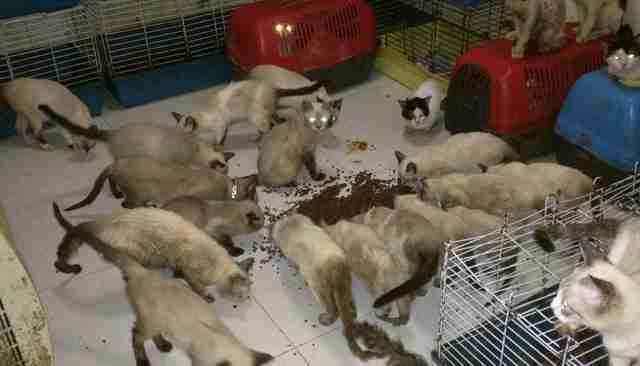 After four hours, Ling and others had rounded up every cat, and they transported them to a vet clinic for urgent veterinary care. While some of the cats have remained in medical boarding, the healthier ones are temporarily living at a cat kennel. Despite everything the cats have been through, many of them are perking up. To help pay for food, temporary housing and medical treatment for these rescued cats, you can make a donation. You can also get updates on the Facebook page for this rescue operation, Saving the Siameses.